The rebel gang has joined forces for the best birthday ever! We’re gearing up for not one, but two boy’s birthday parties. I created this fun refreshment and dessert station for these special boys with American Greetings party supplies at Walmart. It’s so simple and easy on the budget to pair fun themed foods and a little DIY with pre-made party supplies. 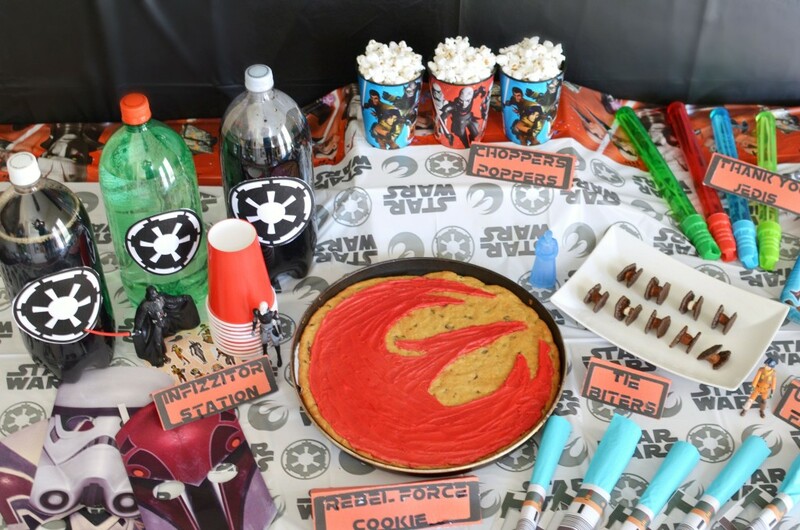 For the decor I kept it simple with Star Wars Rebels American Greetings products. The backdrop is a plain black tablecloth, with a themed covering for the table. 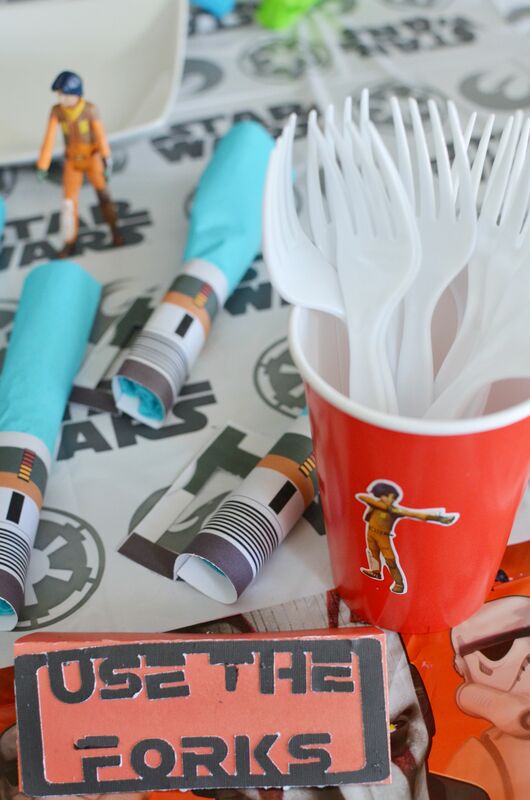 I created a fun printable to slip over napkins to create lightsabers. A necessity to ensure all party rebels would use the “forks”. Star Wars Rebels fans will notice it is young Ezra’s blaster hilt. 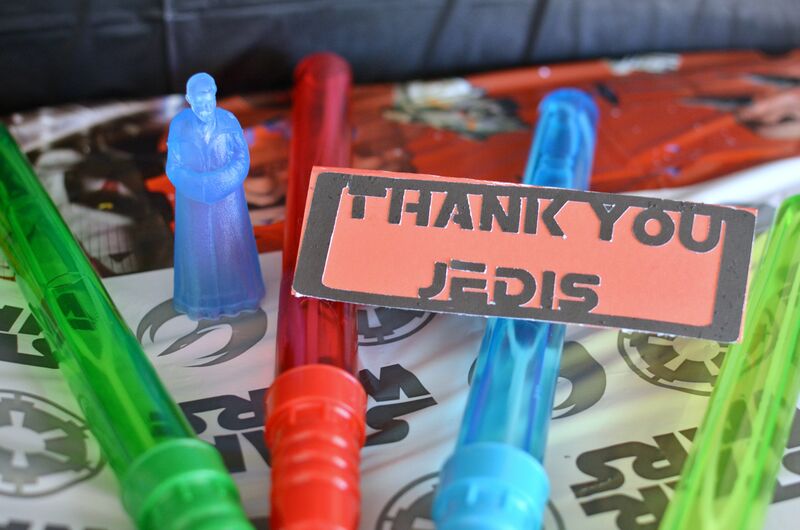 Each young Jedi Padawan has a custom lightsaber to take home as well. Days can be filled fighting the force with bubbles! For food I wanted to highlight the two opposing forces. 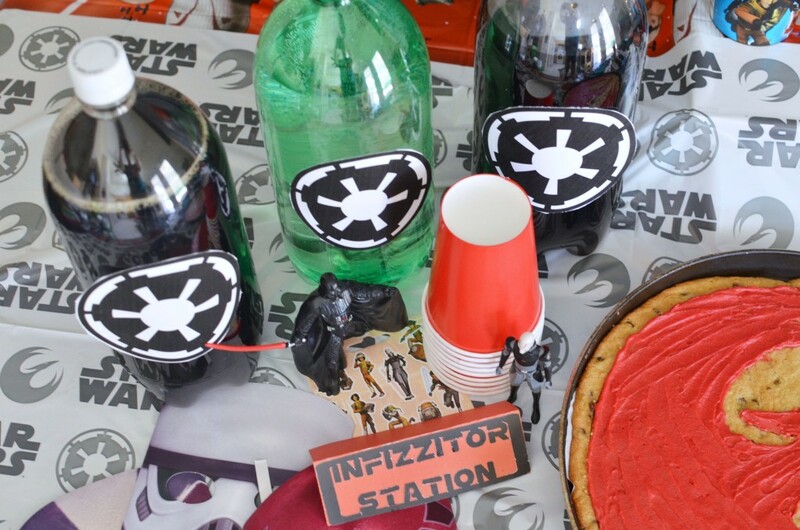 There is an Infizzitor station with Imperial Force soda. 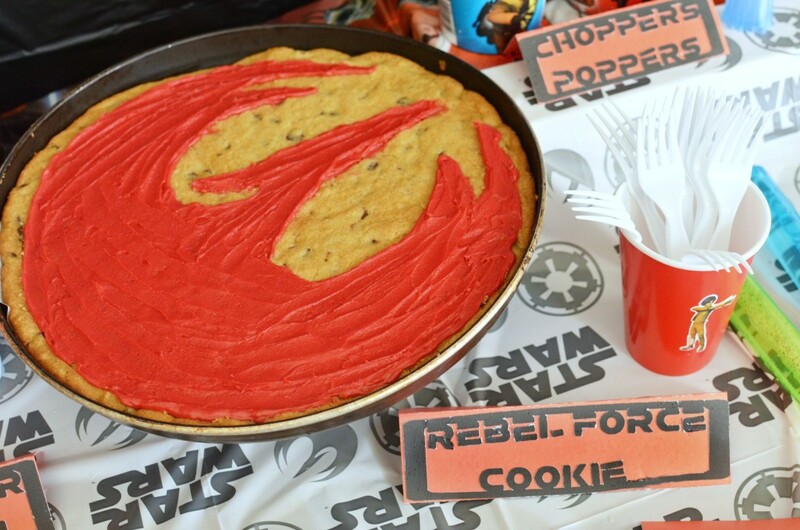 Then the dessert planet of Lothal stocked with a selection of treats fit for the rebel forces. Pizza cookies are always a huge hit with my children. They are super simple to make and decorate. To save time you can use store bought dough. Let it cool before topping with a custom rebel firebird logo. My oldest is a popcorn monster just like me so we had to have that represented amongst the munchies. 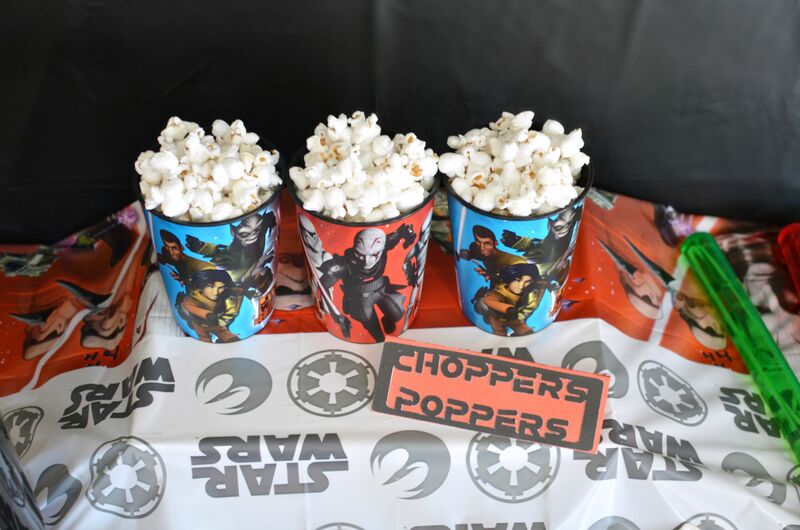 Star Wars Rebels stadium cups work perfect for holding Choppers poppers. 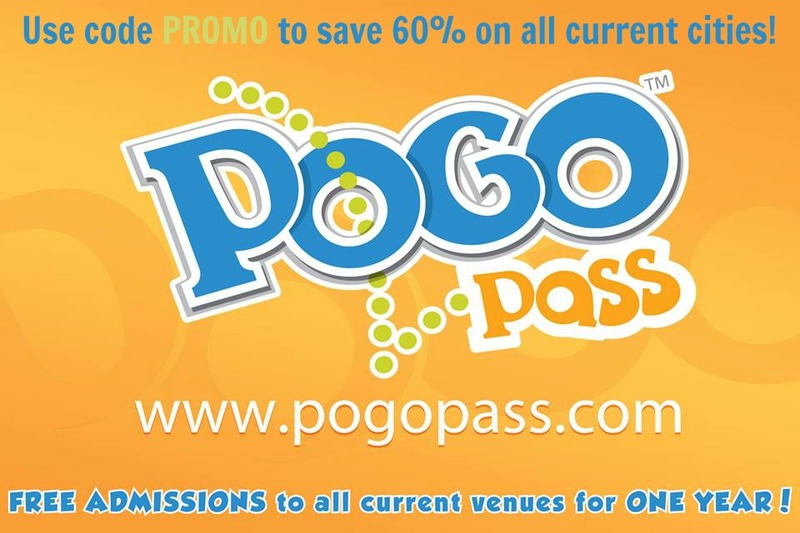 Then when the party is over we can use them for water or send them home as a party favor. 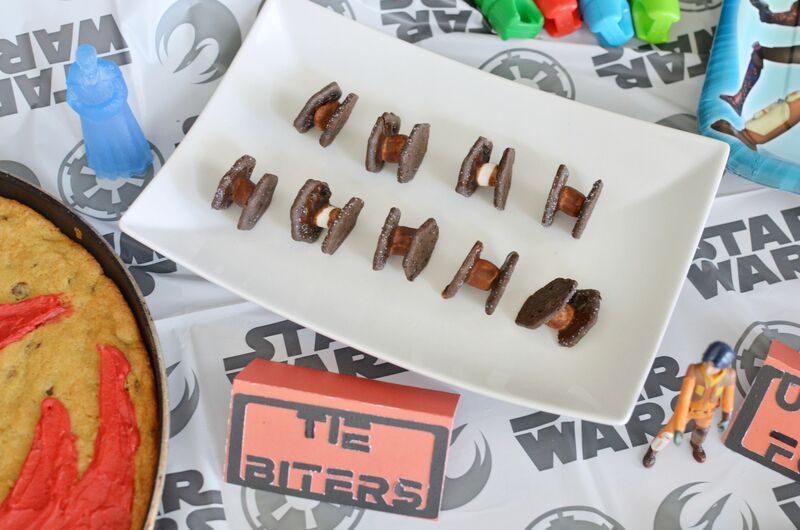 I also created fun tie biters snacks from cookie chips, marshmallows, and melted chocolate. I think they look just like the Imperial star fighters. 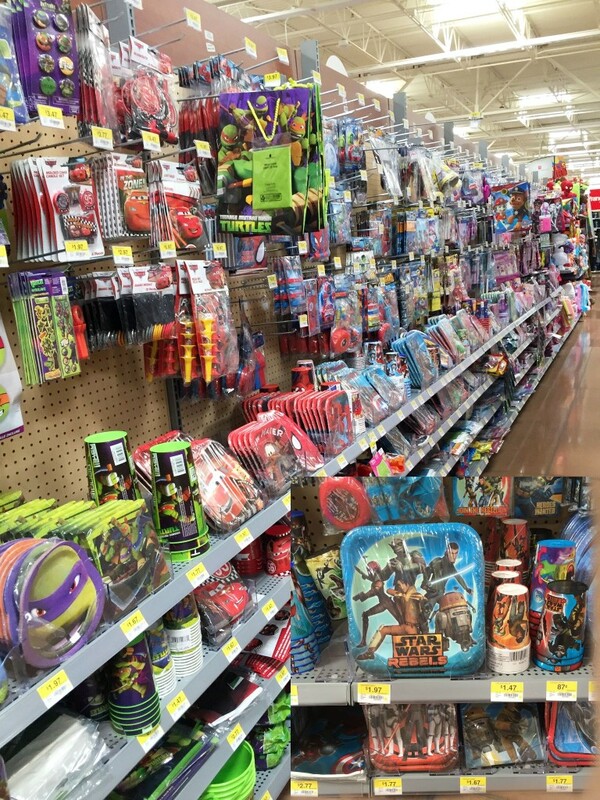 Throwing the best birthday ever is simple with party supplies from Walmart. I’d love to hear your favorite birthday budget tips in the comments below. Checkout these posts for even more themed birthday party inspiration. With American Greetings supplies it’s simple to pull together a great party without blowing your budget.